Your will not find a more fabulous product! We guarantee it. 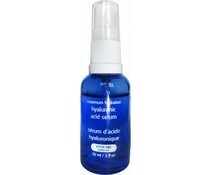 Basic Hyaluronic Acid alone will not give you the results you'll experience from Tru Minerals Super Intense Hydrate. The unique blend of ingredients work together to make an absolutely jaw dropping serum that is hyper potent with hydration plumping ingredients. Plump up dense skin and give yourself that youthful look again. A healthy glow that comes from within! But don't stop at your beautiful face. This amazing serum also works wonders on your hands, legs, feet and every other part of your body you in need of a bid drink! We use only the finest, most potent, organic and pure ingredients to form our solutions skin care products. Bringing you more than store or counter products can supply. We only produce our products in very small batches to ensure the highest potency and quality. Always using minimum packaging to do our part in minimizing unnecessary waste and keeping the price down for you. Matrixyl is Palmitoyl Penta (or Oligo) peptide; Matrixyl 3000 is this ingredient plus Palmitoyl Tetra (or Tera) peptide. Palmitoyl Pentapeptide, found in the previous generation of skin remodeling creams like Str*Vectin, stimulates growth of collagen, elastin and hyaluronic acid to fill wrinkles naturally from within. Matrixyl 3000 contains matrikines which are messengers of cutaneous restructuration and repair. They activate the neosynthesis of extracellular matrix macromecules providing Matrixyl 3000 with a visible anti-wrinkle efficacy. Matrixyl 3000 contains two Pal-GHK and Pal-GQPR which act in synergy torestore and maintain skin's youthful appearance. As messenger molecules, are capable of regulating cell activities. They interact with specific receptors to activate certain genes involved in the process of extra cellular matrix renewal and cell proliferation. IQ Naural's Cosmetics Super Intense Hydrate topical Hyaluronic Acid 60% Matrixyl draws moisture into the skin, causing the tissues beneath the skin to plump and thus reducing the prominence of wrinkles. Collagen production is also enhanced as much as 300%. 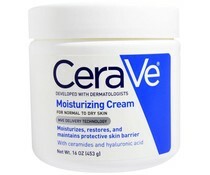 Reduces inflammation improves circulation resulting in a better overall complexion. overall described as a youthful glow is achieved. 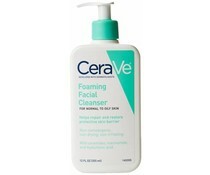 Users have often seen redness and irritation disappear, diminishing many forms of acne and roseacia. Results typically seen in as few as 3-5 days! Because HA occurs naturally in the body, it will eventually be absorbed, thus its effects will gradually fade away. Daily applications will help ensure the HA stored in a user's skin will be constantly replenished. Having the ability to draw active ingredients deeper into the skin, HA is found to be beneficial when added with any other favorite creams or serums you use. Only making their active ingredients more effective. Hyaluronic acid plays an important role in the way your skin looks, feels, and functions. A natural complex sugar found in all mammals, it's a major component of the connective tissue matrix in the dermis the dense, inner layer of skin beneath the epidermis. This matrix is made up of Hyaluronic acid as well as two connective fibers collagen and elastin. By its nature, Hyaluronic acid retains water like a sponge, absorbing more than 1,000 times its weight. This helps to attract and maintain water within the extracellular space, hydrating your skin and increasing its volume and density. Hyaluronic acid is also involved with the transport of essential nutrients to the skin's viable cells. Hyaluronic acid provides volume, helping to contribute to the skin's overall appearance. • Hyaluronic acid is a natural skin hydrator that draws hydration deep into skins surface. Gentle enough for even the most sensitive skin, SIH (Super Intense Hydrate) reduces inflammation, improves circulation, plumps up lines and wrinkles, stimulates growth of collagen and improves elasticity to give the skin a youthful, smooth finish and healthy glow! Hyaluronic Acid naturally has the ability to draw active ingredients deeper into skin cells and carry nutrients deep into the cell structure for the full potential of the added active ingredient. Paired purposely with Matrixyl 3000 Peptides for its improvements to collagen and elasticity in skin for a smoother more youthful appearance. 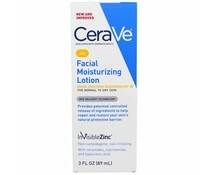 Use at night, gently smooth one small drop of serum on clean skin over face and neck before applying moisturizer.